1st VB Royal Berkshire Regiment Victorian OR’s glengarry circa 1885-96 on three loops. A fine die-stamped white metal example. Crowned circlet inscribed “Royal Berkshire 1st Volr. Battn. ” ; Stag and Oak tree to voided centre. 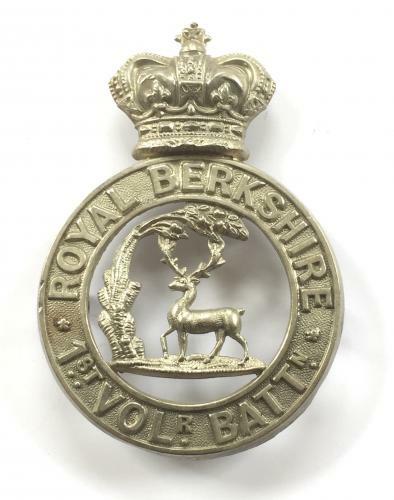 The Berkshire Regiment together with its VB were granted the title “Royal” on 29th September 1885. HQ was at Reading.